Waking early in Dublin, I pack up all of my things and head a short way down the street to catch the Luas (light rail) west to Heuston Station. It’s my first time on the Luas and I am impressed with the modern efficiency and style of the tram. All across the city, workers had been tearing up the cobblestones, installing tracks and meticulously re-cobbling sections of the street, as Luas lines are extended and improved. Here’s a city that’s putting the time and investment into a state of the art transportation system! I’m onboard! From Heuston Station, I catch the 9am Iarnrod Eireann (Irish Rail), Cork/Mallow service heading southwest across the country for €24.99, which I had booked online 2 weeks before. 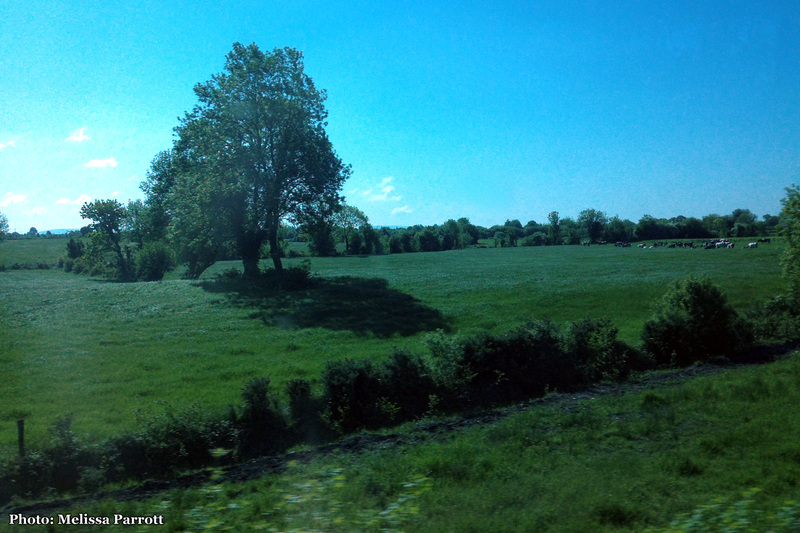 Green fields of County Kildare and then Co. Laois and Co. Tipperary flash by the windows. The stops are announced in Irish Gaelic and English. It’s a gorgeous ride and the sun dances in through the panes of the train car. The tracks cross another county line into Cork and at Mallow Station I transfer trains and catch the Tralee service West to Killarney. This second ride is slightly over an hour and takes me into more rugged territory. 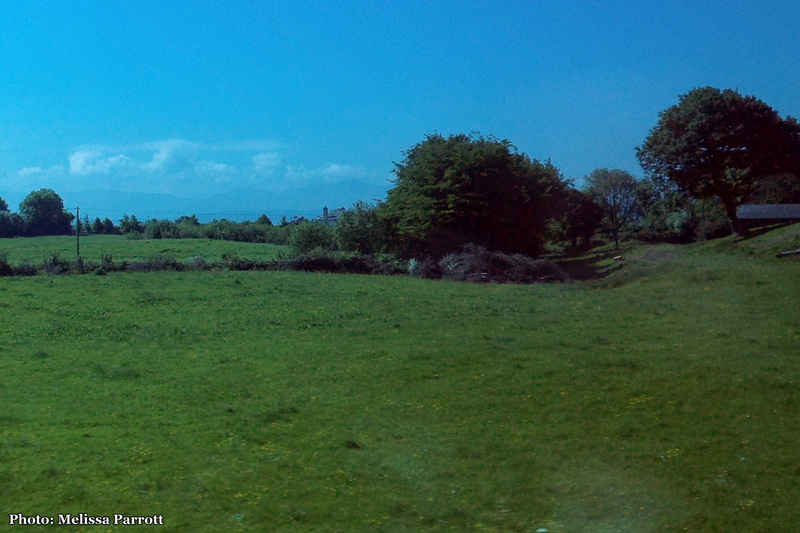 We pass such stations as Millstream and Rathmore, as we cross over into Co. Kerry. 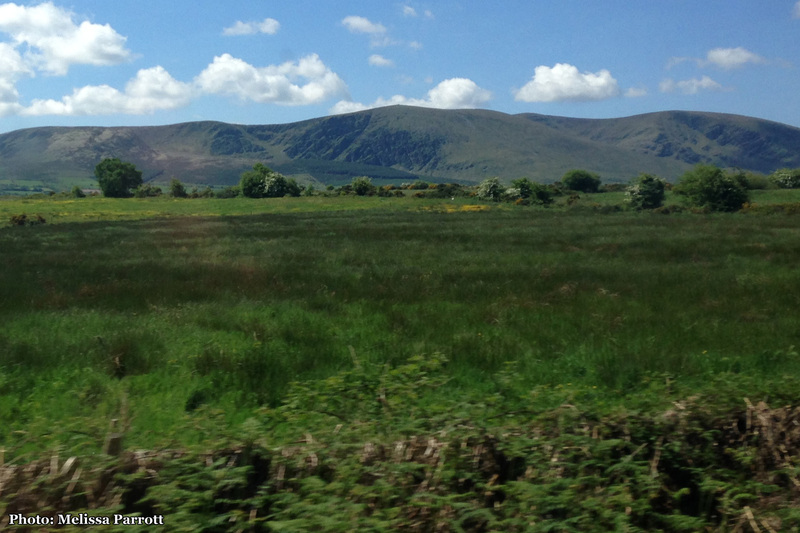 From Contae Áth Cliath (Dublin), through Cill Dara (Kildare), Laoise (Laois), Tiobraid Árann (Tipperary), Luimneach (Limerick), Corcaigh (Cork) & Chiarraí (Kerry), I had journeyed across 7 counties that morning to now arrive in Killarney, Co. Kerry. Months before coming, I touched base with my Aunt Tina, my Dad’s brother’s wife. She and my uncle Keith lived in Ireland together for years and now she’s living in the US. Keep in mind, I had only met my Uncle Keith once or twice before he passed, I’m sad to say that I didn’t know him very well and I didn’t know Tina at all. That didn’t stop her from introducing me to one of her besties, Suzanne, a current Killarney resident. Over e-mail we made plans and Suzanne graciously opened up her home for me to stay for as long as I needed. This first visit would just be for a couple hours, however. She met me at the train station with a quick hug and we were off to go meet up with her friend Mary for lunch and a brief drive around the park together. The Kerry accent takes some getting used to. I hadn’t had the pleasure of speaking to anyone from Kerry before and I was surprised how accents and figures of speech changed over county borders! I occasionally had to have Suzanne repeat things for me, and I sure felt a little silly having to ask! We were, after all, both speaking English! 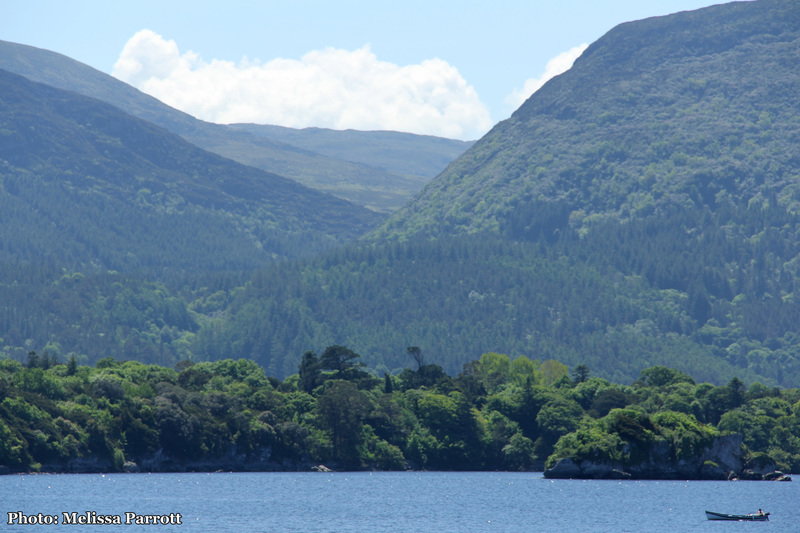 The accent of some Kerry residents can be terribly difficult for a non-Irish speaker to understand, as the accent is often steeped from the Irish language. An extreme case of this is a sheep farmer who made national news after reporting some lost sheep…at least that’s what I think he said. Search Kerry accent on Google and you can’t escape that clip. I really hope the different pronunciations and speaking styles stick around for many generations. I certainly don’t want all voices to become Americanized English. Like, that would be THE worst. Personally, I loved hearing the different accents and unique figures of speech and sayings that were new to me. Diversity in speech is amazing and it just piques my curiosity. Looking up examples of Kerry speakers, I found this great overdub of Star Wars done by some students in Tralee. I love it, have a listen. 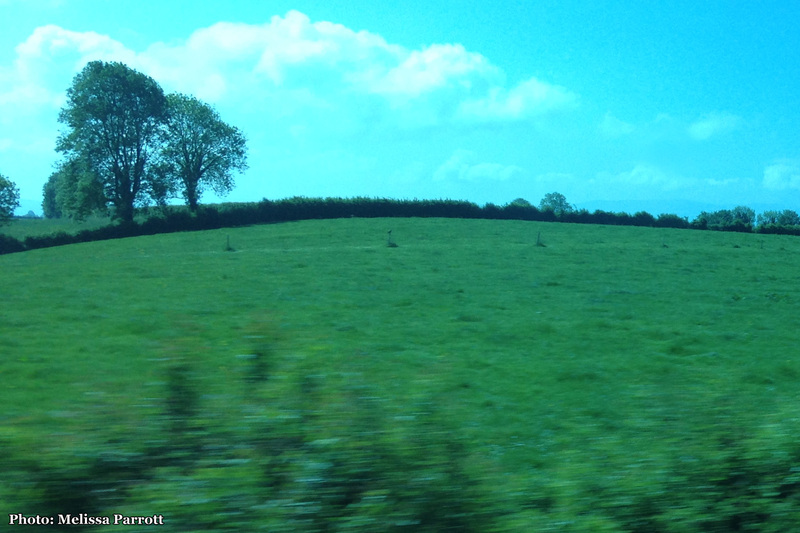 In Mary’s car, we zipped through the town of Killarney, which had a substantial amount of traffic for a park. 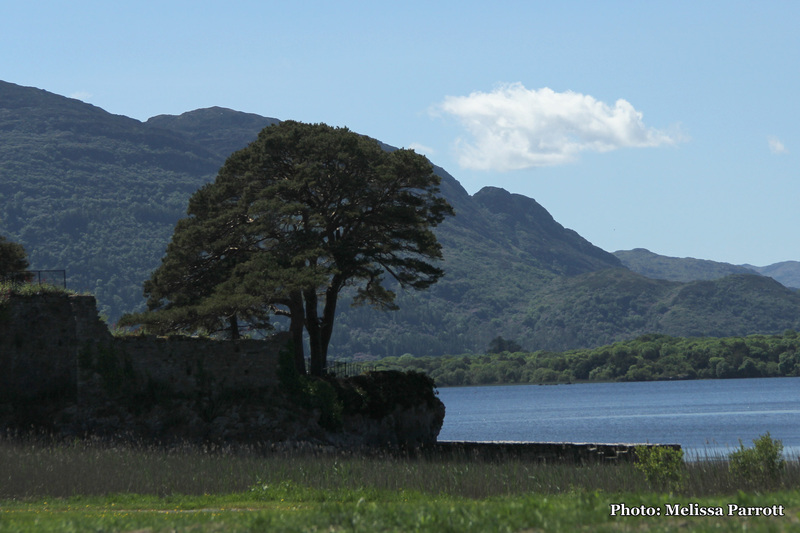 That’s right, the town is actually a part of Killarney Nation Park, the oldest park established in the country. At 26,000 acres, it’s also one of the largest and is comprised of beautiful lakes and the tallest mountain range in the country. There are many natural and architectural attractions to seek out in the area. 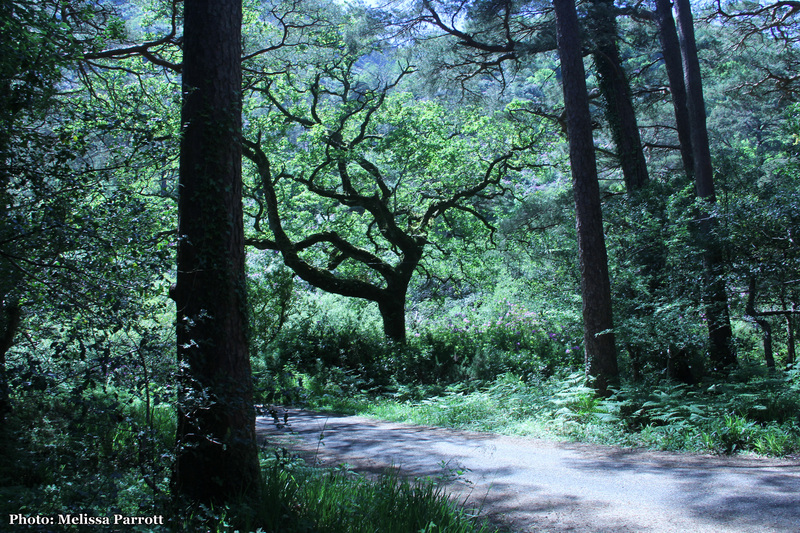 Killarney also has the most extensive native forest cover remaining in the country and the park includes a variety of important natural habitats. Finally getting out of town and into the park proper, greenery and bushes leaned in closer to the sides of the road and every now and then we’d have to slow to pass jaunting cars (a two wheeled, horse drawn carriage), walkers or cyclists. Recreational use of the park is very heavy. We pulled to the side of the road at a parking area and I was able to leap out and snap some photos of the lake and greenery while Suzanne and Mary waited patiently in the car. As beautiful and vibrant as the rhododendron are here, I knew they are invasive species, overtaking native plants in the area. They were problem in Scotland too I recalled. Back in the car, Suzanne and Mary pointed out some places I should visit when I return later the next week. 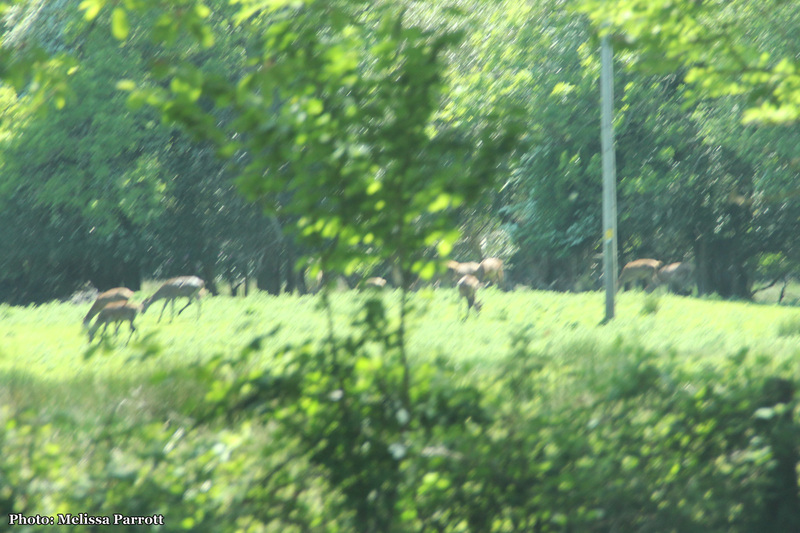 I spot some deer and take a blurry picture out the car window. 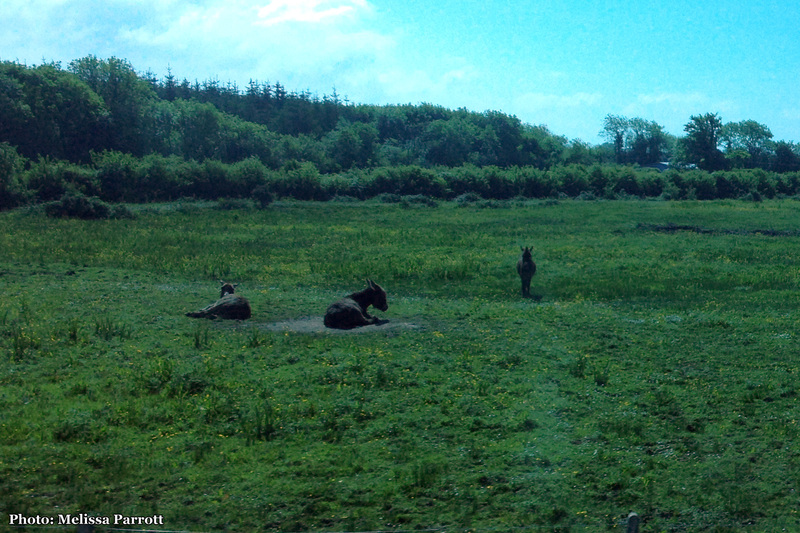 Killarney is home to the last surviving indigenous herd of red deer in Ireland. 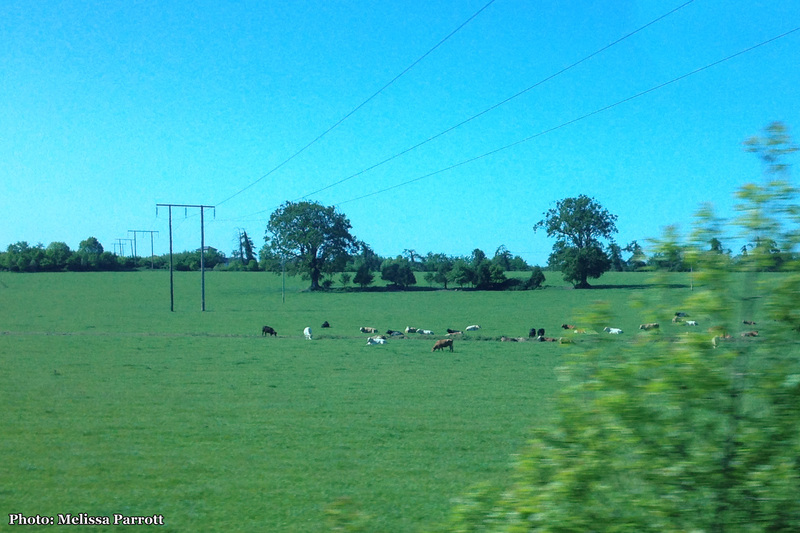 There are other herds of re-introduced stock mainly from Scotland, but the current local herd, numbering close to 1000, has been here since neolithic times. We stop into the Killarney Lake Hotel for a delicious lunch. Situated right on the shore of Lough Lein, we snag a patio table with stunning views. 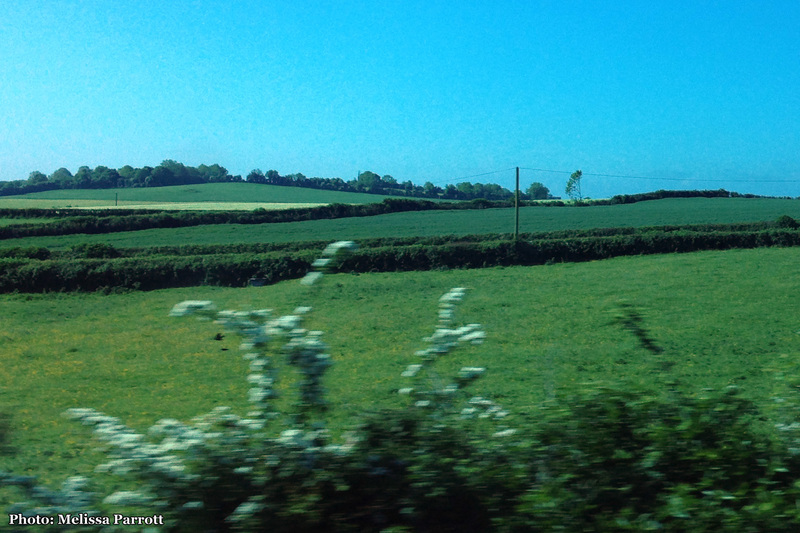 It’s another spectacularly sunny day, I’ve really lucked out on this trip with the weather! 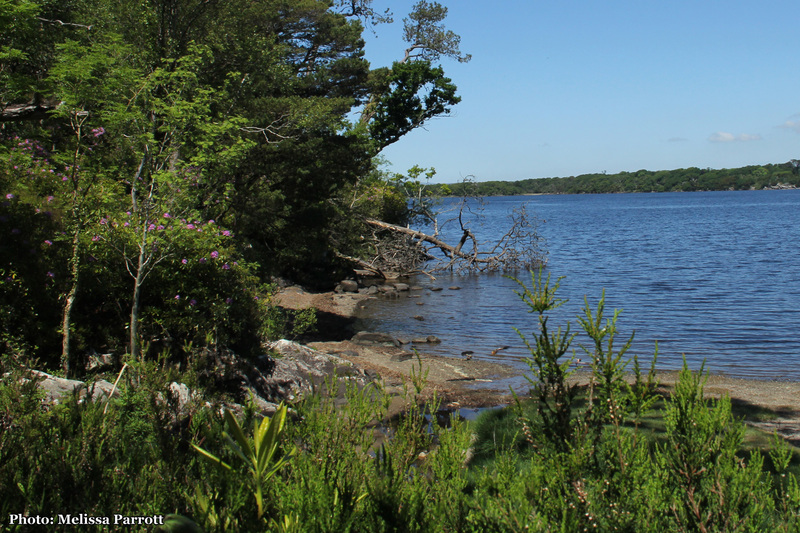 Down the path towards the water and visible from our dining spot at the lakeside bistro are the ruins of McCarthy Mór Castle, Castlelough. Mac Cárthaigh is an Irish Gaelic name originating from Munster. Apparently 60% of McCarthy’s in Ireland still live in County Cork where the family was quite the powerhouse in the Middle Ages. 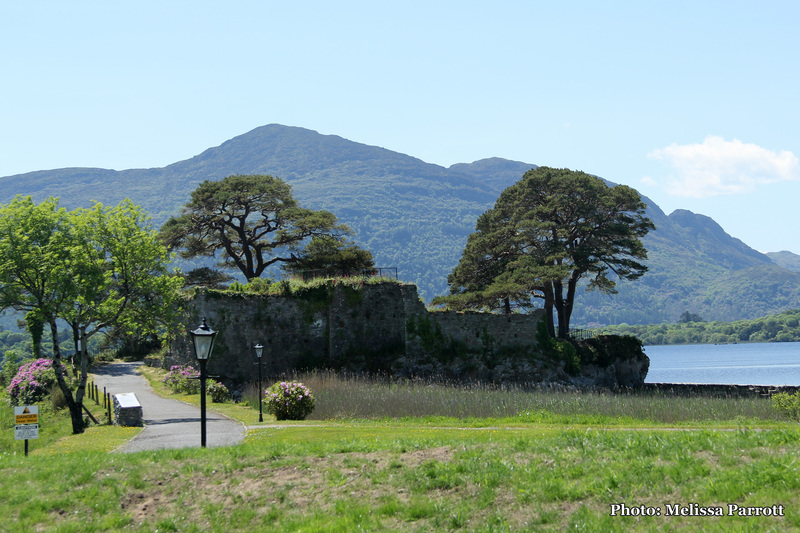 This castle was built in the 12th century, possibly by the Roches. It was a time of warring clans and Norman invasions. AngloNorman castles were popping up around the Kerry area. 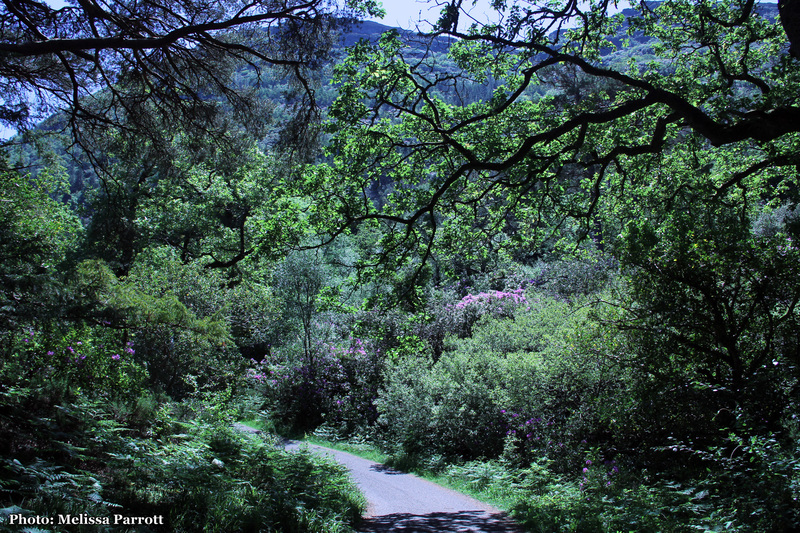 In 1261 Kerry was invaded by West Cork McCarthy’s, displacing local chieftains and Gerald Roche was killed. The McCarthy’s based their reign of South Kerry from their castles; Pallas, Ballycarbery (which I will visit a couple days hence) and this one, Castlelough. Over the years a number of colourful MacCarthy’s resided here, including Donal MacCarthy, also known as “Dan the Feathers” an illegitimate son of the last reigning king of Desmond. In 1583, the Earl of Desmond was killed and his vast lands were forfeited to the English crown and distributed to English noblemen. Donal, knowing the lay of the land would perform raids and attack these English land grabbers, sending them packing off his ancestral lands and re-establishing MacCarthy turf, as well as neighbouring clan lands. These feats awarded him the title “The Robin Hood of Munster” and he’s got quite a reputation around Killarney. In the 1800s, a mansion was built within view of the castle walls. It changed hands quite a bit and was enlarged to become the Lake Hotel. Queen Victoria was a guest at the hotel in 1861 and here I am 155 years later, eating a lovely lunch with two new friends. The food was delectable and Suzanne insisted on covering my meal, the first of many incredibly kind, hospitable acts she would bestow upon me during my visit. This afternoon was just a stopover and I have discovered many sights in this incredible National Park that I absolutely must visit and explore. 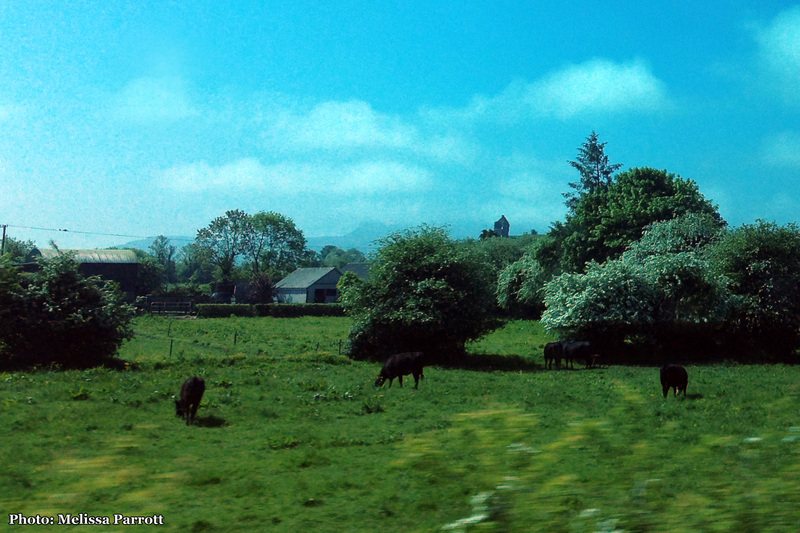 After lunch, we drive back to the station so I can catch the bus further west, along the Ring of Kerry to Cahersiveen. 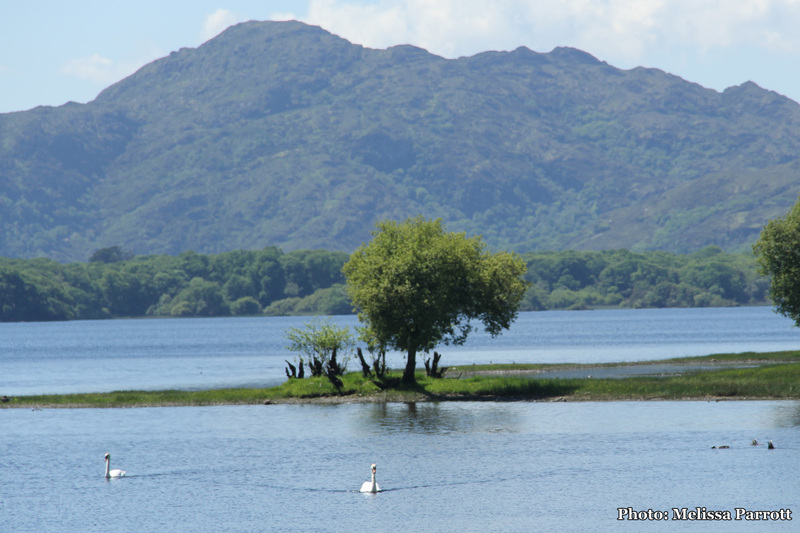 I will return to see my new friends in Killarney in about a week’s time before heading North, along the Wild Atlantic Way, but for now I will be exploring the southwest of this fantastic country. Onwards.